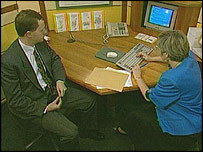 BBC Radio 4's Money Box Investigates was broadcast on Tuesday, 17 May, 2005, at 2002 BST. The programme was repeated on Sunday, 22 May at 1702 BST. In a special edition of Money Box Investigates, Paul Lewis examines the case for reforming commission, the system which underpins financial advice in the UK. Critics of commission, including consumer groups, the influential Treasury Select Committee, and some within the industry itself, argue that it creates a potentially damaging conflict of interest. They argue that an advisor paid by commission only makes money if they sell something, which may not lead to the best advice for the consumer. They believe commission biases advice and has played a part in the financial scandals of recent years, including pensions, endowment, and high-income bond mis-selling. They argue that confidence in the industry cannot be rebuilt without substantial reform of the commission system. But defenders say financial advisors must be paid for the service they provide. They say commission gives a wide range of people access to specialist knowledge and advice, which they would not want to - and in many cases could not afford to - pay for any other way. As the city regulator prepares to introduce the biggest shake-up to financial advice for more than 15 years, Money box asks if more reform is needed.